Devices learn from errors, optimize themselves and produce independently via intelligent algorithms. This is the primary target of a smart factory in the industry 4.0 age. To realize this contemporarily in a real production site a unique evaluation environment is created in the electronics factory of Limtronik GmbH (http://www.limtronik.de) in Limburg with the support of iTAC Software AG (http://www.itacsoftware.com) from Montabaur. The industry 4.0 evaluation environment is being built in the factory of the electronics supplier Limtronik. Therefore, iTAC Software AG provides industry 4.0 suitable software components as well as smart devices for the docking of different plant modules of the manufacturers ASYS Group GmbH, FUJI MACHINE MFG (EUROPE) GMBH, Rehm Thermal Systems GmbH, Koh Young Technology Inc., GÖPEL electronic GmbH etc. 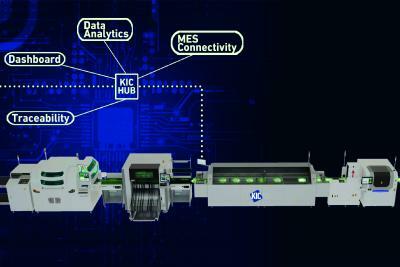 With that both companies go far beyond the demonstration and research plat-forms of industry 4.0. “Our project’s target is to make the processes of our machines more efficient as well as to get more concrete statements with feedback about process specific problems. So the future system will not only capture and document errors via quality reports, but also evaluate the reason fully automatically”, explains Gerd Ohl, manager of Limtronik. Thus, an early warning system can be created which points out potential sources of errors and by this minimizes the non-conformance costs towards zero. Error causes can be localized by modern data analysis techniques much better in the future. These techniques are based on data which already exist, such as product-, resource- and process-data as well as room temperature, humidity, etc. Dieter Meuser, CTO of iTAC Software AG, considers the opportunities of the “Smart Electronic Factory” as trend-setting and future-proof. “Up to now such preventive error avoiding mechanisms on the basis of practical oriented data analytics methods have completely been missed in an MES. Our development goes far beyond processes like traceability and process inter-locking, which are currently being used – it will not only optimize the production, but also revolutionize it.” Furthermore, in the future the customers of Limtronik will be able to link with their supplier and to identify the cause for any error with the aid of serial numbers. Comprehensive traceability is the result of this intelligent network. To realize this project Limtronik and iTAC have built an industry 4.0 consortium on which international companies like the data analytics specialist Warwick Analytical Software Ltd. and the BI player Actuate Corporation take a stake. 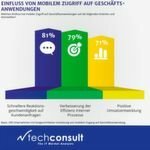 German medium-sized software firms such as in-integrierte informationssysteme GmbH and DUALIS GmbH IT Solution also participate in this. In a first step the above-mentioned industry 4.0 evaluations and scenarios are now being deployed in the fully automated SMT lines of Limtronik GmbH. First results are probably going to be presented in fall 2014. Since its founding in 1998, iTAC Software AG (Internet Technologies and Consulting) has been a specialist provider of internet technologies for the manufacturing industry. Implementing the “internet of things and services” has been at the heart of the company's strategic direction right from the beginning. The manufacturer of standard software and products for cross-company IT applications is a leading system and solutions provider of Manufacturing Execution Systems (MES) for the entire supply chain. The company develops, integrates and maintains its cloud-based iTAC.MES.Suite for manufacturing companies all over the world. As a specialist in highly-available, scalable and future-proof infrastructure solutions – based on the Java EE technology platform – iTAC aims to set standards and to guarantee reliable IT-supported business processes. iTAC Software AG has two locations in Germany with its headquarters in Montabaur as well as a branch in the USA and a global partner network in China, Mexico, Russia etc. Its customer base includes renowned companies from many different industries including automotive, electronics/EMS/TC, medical technology, metallurgy and pipeline sectors.